So, how are we doing this thing? 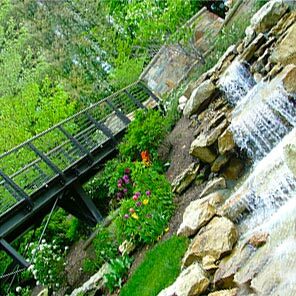 We have a thorough and complete design and landscaping process we’ve learned through years of experience. Each step is essential to creating and maintaining the perfect design for your property. 1. Give us a call, email, or send a smoke signal. There is a contact form you can use. An email. A phone number: 330-638-2075. Send us a letter if you need to. Walk outside, light a fire, and send up some smoke signals. We’re not guaranteeing success with the smoke signal so you might want to try one of the other options first. Every project starts with a no-charge, on-site visit so we can discuss your budget and vision. This allows us to become familiar with your property and project. This may result in a simple no-charge sketch or a fee-based comprehensive design. We develop a general survey – including a building or house footprint, relevant property lines, water lines, travelways, parking area, lighting, existing garden elements and other yard features. This allows you to visualize the project and get us all on the same page. This isn’t one of those surprise home design shows, we want your input. From extensive excavation and site clearing, grading and drainage to simple installation of new plant beds and landscape maintenance, Gilmore delivers full-service site prep. We’re not looking to wing it. Unless by ‘wing it’ you mean eat buffalo wings. That we’ll do. The rough layout of your landscape plan, based on the survey, is used to account for all existing elements on the property in order to determine the new plans. This is where our team does its thing! If we told you how we do it, we’d have to kill you! Actually, by the time we were done explaining all the details of it you’d have died of boredom. Two birds, one stone: That’s called efficiency. We produce a scale drawing showing the important elements of both the site and your design project. This rendering is more detailed – including precise measurements and architectural elements, utilities and more. If you’ve never encountered something ‘at scale’ before, don’t worry, it will be larger when it’s all done. We don’t build landscaping for ants. We prefer this meeting to be at our office where we unveil your new design. Here you can touch & feel material choices, textures, and plants. From a lump-sum quote to a phased five-year plan, we can fit your needs. 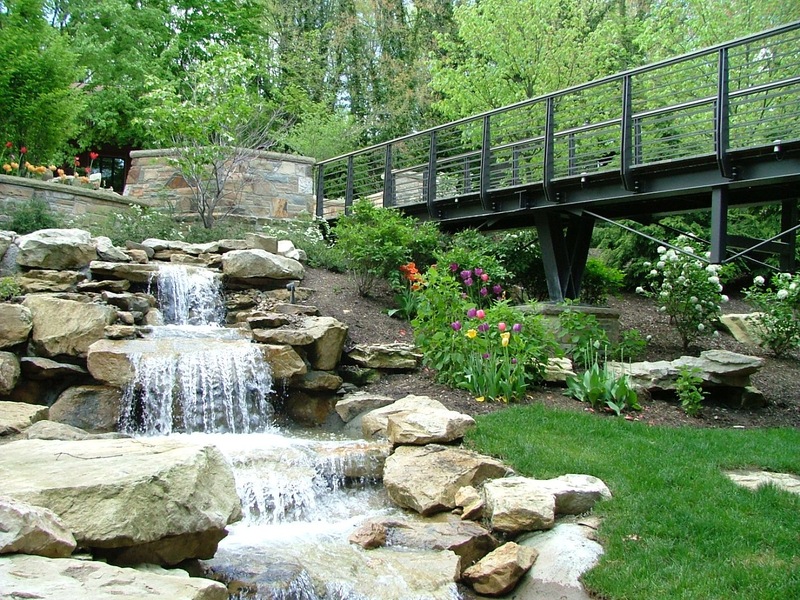 We meet with you so that our designer can present your landscaping concept. 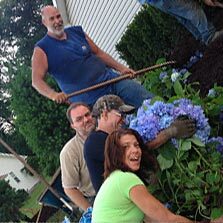 We typically like to have this meeting at our office, again, so you have a chance to see and feel materials, view pictures and get a first-hand look at the plant life that will be part of your landscaping. We come dig a hole and install the project. There’s more to it than that really, but if you’ve read this far you’re probably tired. So just get ahold of us and we’ll take it from here: See step 1.